Kirsty is a qualified Iyengar Yoga teacher. 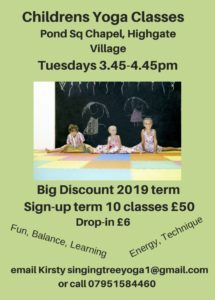 Children’s Yoga classes offered in a lovely light, bright and warm space. With seating for parents and a reception area. Children are encouraged to learn new skills in balance, posture, flexibility and visual ‘freejamyoga’ cards allows them to explore this classical form of Yoga. Meditation and breathing exercises are integrated into each class. 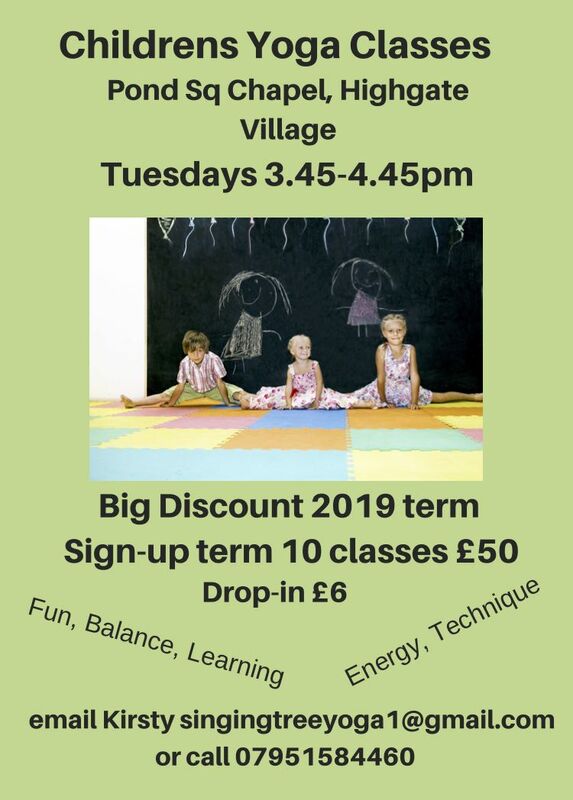 Classes are fun and local inside this well established village space.